@yugaparivartan & we r doomed for sure especially with unarmed sheep of a populace. Not to forget the impact of such social experiments on fighting capability of our units. It is very unfortunate that the government is rushing through these decisions while even the most advanced countries, without any real enemies at their borders and strong feminist lobbies, have deferred this tricky decision for too long. Fact is unlike those countries India cannot take chances with its security given its hostile neighbourhood. For all the photo-ops by Israeli and Kurdish female soldiers, one should understand that these countries are operating out of compulsion rather than any genuine care for women rights. 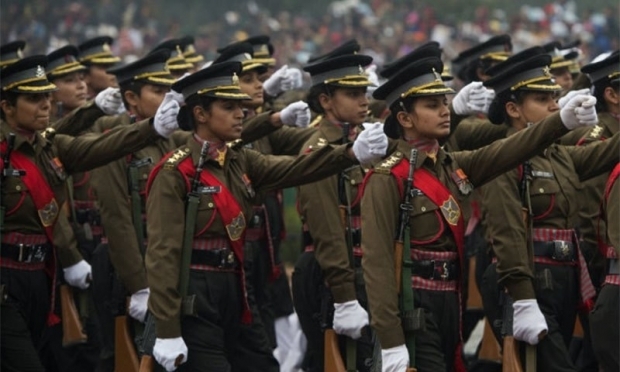 There are many other roles in the armed forces, where women have proved their mettle but it would be just foolish to send them in direct combat. Using words of Robert L Maginnis, it will lead to deadly consequences if cowards push women into combat.